NICU is the abbreviation for the neonatal intensive care unit of a hospital. 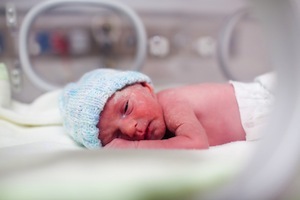 Infants born premature or in need of advanced medical care may be admitted to the NICU for observation and treatment. Length of stay in the NICU is determined by overall health, medical need and response to medical care. The NICU is a specialized care department for premature infants and infants with special healthcare needs. The first NICU was established at a Vanderbilt University hospital. The intensive care unit took an educated leap of faith, using a ventilator to help an infant breathe better. Today, NICUs are staffed with neonatal specialists, including nurses, pharmacists, resident physicians, physician’s assistants and nurse practitioners. Respiratory therapists and other specialists work in the NICU as needed. Actual staffing at a particular NICU will depend on the size of the department. Not all hospitals have a NICU. Before the NICU, infants born extremely small or early were at increased risk of death. Survival rates for infants born at less than three pounds or 30 weeks were extremely low. NICU increased survival rates and now infants born at or before 26 weeks gestation have an increased chance of survival. When an infant is born, nurses and hospital staff immediately start the evaluation process. These medical professionals are prepared in advance if labor starts early or the infant is expected to weigh less than normal. If, upon evaluation, it is determined the infant needs exceptional medical care they may be admitted to the NICU. Initially, evaluation of the infant’s condition and medical needs continues. NICU staff determines if breathing help, feeding help and warming equipment is needed. Medications are administered and specialists are called in if medical conditions require such care. Feeding Tubes: Infants admitted to NICU may have trouble consuming enough calories by mouth, so feeding tubes may be inserted into the stomach via the mouth or nose. Tubes carry breast milk or formula to the stomach. Feeding tubes pose no pain though they are taped in place to prevent movement. Some infants are allowed to feed by mouth while a feeding tube is in place. Warming Beds: Regulating body temperature is a skill infants acquire soon after birth. Low body fat is one reason for difficulty maintaining a healthy body temperature. Radiant heat beds are used to warm baby to a healthy temperature until the body can do so on its own. Isolettes: If the infant is having a particularly difficult time regulating body heat, they are placed in an enclosed, heated bed called in isolette. Bed and body temperature are regulated closely. IV Lines: Fluid and medications are passed to the infant using a traditional IV line inserted into a vein. The line may be placed in the arm, hand, leg, foot or scalp, depending where the line is best established. In some cases, the initial IV line is placed in the umbilical cord, but this is only a temporary line. If additional fluid is needed, doctors may use a central line placed in the groin, neck or chest. A central line is a larger version of the traditional IV. Arterial lines may also be used to measure oxygen saturation and blood pressure. Arterial lines are placed in an artery, not a vein. Ventilators: A ventilator is a machine that helps an infant breathe that uses a tube inserted into the windpipe via the nose or mouth. Long-term care in the NICU may require placement of a tracheal tube inserted directly through the windpipe. Monitors: Nurses and doctors need a means of watching the medical state of an infant with medical precision. Monitors provide this information. 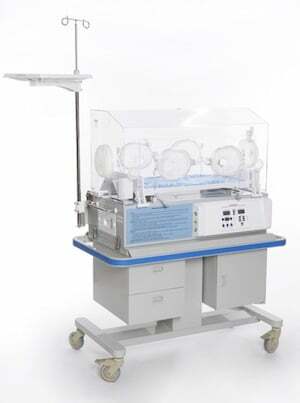 A NICU monitor displays heart rate, blood oxygen saturation, blood pressure and other information. Alarms are set to sound if any values fall below healthy levels. For instance, if blood pressure falls below normal an alarm will sound. However, movement and medical care can cause an interruption in information, which may cause the alarm to sound when there is no real medical need; this can be heartbreaking and stressful for the new parent. Are Parents Allowed in the NICU? When the first NICUs were established in hospitals, parents rarely visited their infants while in care. One study completed in 1979 showed only 20% of infants staying in NICU more than one week was visited by either parent. Today, skin-to-skin contact, known as Kangaroo care, is considered therapeutic for special needs infants. Even in exceptional cases where infants are too weak to be held, parents are encouraged to take part in infant care – as much as possible.